I think the really funny thing is that I don't even have a copy of it. Cartoon Network didn't send enough for our crew (par for the course) so we raffled 'em off. I figured I'd just get one later. But if YOU got one, maybe it'll one day be considered a 'collector's item' and you can sell it for eleventy ka-hundred dollars. And if you do, just make sure you hook me up with some curly fries the next time ya see me. It's not common knowledge, but I spend a LOT of time in my office wondering. About what, you ask? That's a good question. Go ahead... click that link and feast your eyes. Bowling balls... ka-thousands of them. All online. Oh, but it gets better. 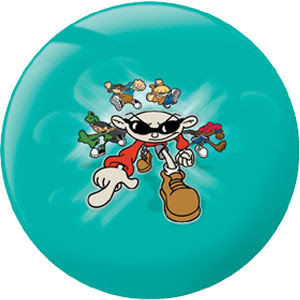 As you can see from the picture above, they sell a Codename: Kids Next Door bowling ball. Click HERE to check it out! Now the big question is... how much is it gonna cost to ship one of those things? 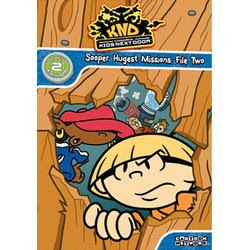 I'm pretty sure you know by now that Billy and Mandy creator Maxwell Atoms and I came thisclose to taking over the world a long time go but just couldn't agree on how to divide up all the Pokemon cards. 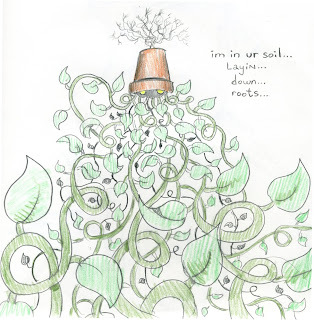 So rather than wage eternal war against each other, we decided to make cartoons instead. And while these days both of our respective endeavors have come to an end (for now) Mr. Atoms seems to have pulled one more premiere from his exquisitely tailored sleeve. 2pm "Hoss Delgado: Spectral Exterminator/Educating Grim/The Crawling Niceness"
2:30pm "Skarred For Life/Bearded Billy"
3pm "Spider's Little Daddy/That's My Mummy"
4pm "Irwin Gets a Clue/Spider Mandy"
4:30pm "Keeper of the Reaper"
5pm "Guess What's Coming to Dinner?/Herbicidal Maniac"
5:30pm "Be a-Fred, Be Very A-Fred/King Tooten Pooten"
6pm "The Most Greatest Love Story Ever Told Ever/Dracula Must Die"
And who knows... if you like it, maybe Mr. Atoms will make more. It would keep him off the streets and out of my hair. A MUST READ... and now you CAN! 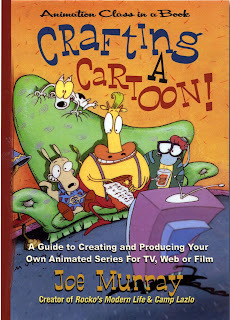 You are the first to know that my new E-book "Crafting A Cartoon!" is now available for browsing or buying! I suggest buying it now! well as a must have for cartoon fans. ( In my humble opinion). Rocko?s Modern Life and Camp Lazlo. Click HERE to browse or buy! So what're you doing wasting time reading dumb blogs? Speaking of books... I caught decomissioned KND agent Numbuh 9 Numbuh 9 Numbuh 9 (aka MO WILLEMS) at the Brooklyn Book Fest reading to a rabid crowd of kids that couldn't get enough of his stuff- which included the not yet released: 'Naked Mole Rat Gets Dressed' and my son's new favorite Elephant and Piggie book, 'Are You Ready To Play Outside?'. Awesome stuff as always! I'm a jerk, right? I finally tell you that one book is available, only to turn around and introduce you to two more that aren't. I always wanted to meet Bob Boyle, former art director of Fairly Odd Parents and Danny Phantom and creator of Nick Jr's Wow Wow Wubbzy and Disney's Yin Yang Yo. Mainly because I wanted to rip his face off and prove to the world that he's a robot- an automaton programmed for inhuman levels of talent and work ethic. i mean, no HUMAN could run TWO sooper cool shows at the same time, right? But last week, my big chance came! Former KND voice director Collette 'Sunderwoman' Sunderman, who also works with robot- er, Bob... was in NYC and invited me to dinner. And guess who was gonna be there? We went out, had some root beers, ate some delicious BBQ food, and got to chat with his lovely wife, Terri (who also works in animation... 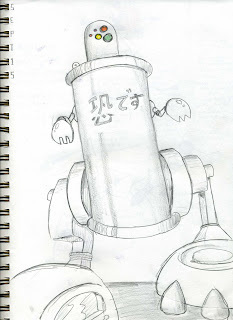 robot? ), and some other Wubbzy folk. And you know what? I had such a great time I TOTALLY forgot to rip his face off. 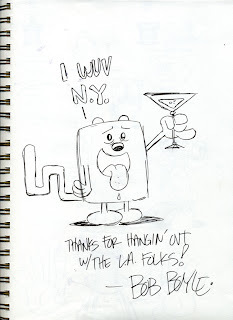 But I DID get Bob to draw me this awesome pic of Wubbzy. Next time, Bob Boyle... your face is MINE!